Progressively increasing complexity of dynamic environments, in which services and applications are demanded by potential clients, requires a high level of reconfiguration of the offer to better match that ever changing demand. In particular, the dynamic change of the client’s needs, leading to higher exigency, may require a smart and flexible automatic composition of more elementary services. 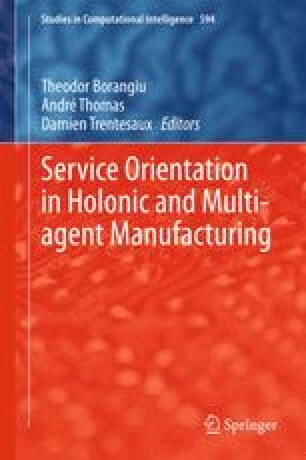 By leveraging the service-oriented architectures and multi-agent system benefits, the paper proposes a method to explore the flexibility of the decision support for the services’ reconfiguration based on several pillars, such as trust, reputation and QoS models, which allows the selection based on measuring the expected performance of the agents. Preliminary experimental results, extracted from a real case scenario, allow highlighting the benefits of the proposed distributed and flexible solution to balance the workload of service providers in a simple and fast manner. The proposed solution includes the agents’ intelligent decision-making capability to dynamically and autonomously change services selection on the fly, towards more trustworthy services with better quality when unexpected events happen, e.g. broken machines. We then propose the use of competitive self-interested agents to provide services that best suits to the client through dynamic service composition.